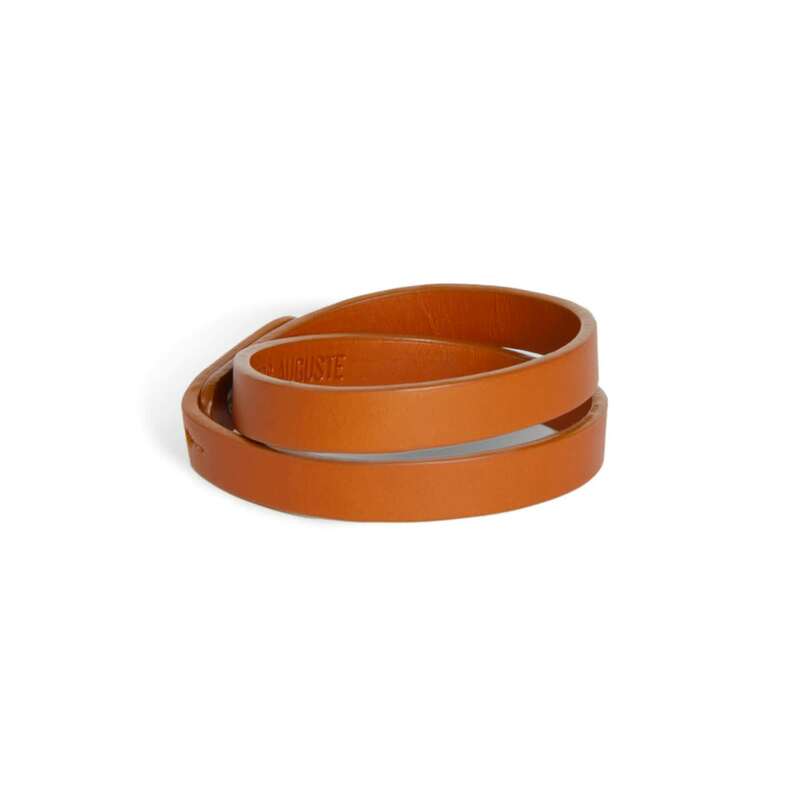 Bracelet for Men full grain - vegetable tanned leather. 2 collar buttons to adjust it. ATELIERS AUGUSTE in Paris, France.